A club as old as Victoria Park obviously has a rich, long history. It began life as Victoria Park Sub Branch, grew into the Millen Sub Branch, then became the East Victoria park Sub Branch. As of 2014, it is known once again as the Victoria Park Sub Branch. have been asked to record some information on the RSL Hall and the RSL of Victoria Park. 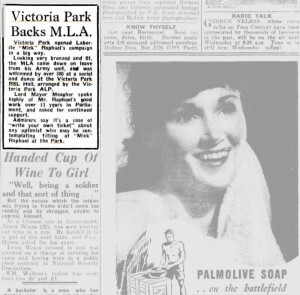 My father was deeply involved in the RSL of Victoria Park, and I grew up there as a youngster. They originally used to meet down at the Library Hall, down opposite the Broken Hill Hotel, what year that was I don’t know, but I think it was, oh, might have been 1922. I don’t know exactly when the RSL started, but I know they built the hall round about 1934. 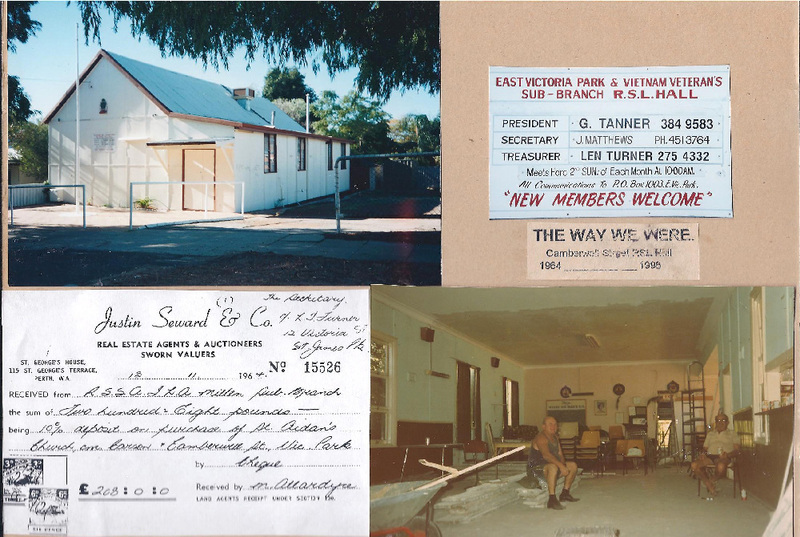 They used to meet as I said at the Library Hall which is opposite the Broken Hill in Victoria Park, and they used to run different events, socials and things, and they had a building fund which they worked very hard, all the old Diggers there, to raise the money. Sometimes they would have a card evening above the picture theatre upstairs at the Broadway Picture Theatre. I don’t think they were allowed to have music or anything there, but they did have card nights, and l think that’s one of the venues that they used to use, but mainly the FISL was carried on in the Library hall. I don’t know any hall prior to that because I was only a youngster those days. Eventually they got sufficient funds to purchase a block of land. Now the block of land that they purchased was in Salford Street, that’s about in the middle of Victoria Park, so they built an RSL hall in the centre of Victoria which would be about the best spot, I think. it’s interesting to know that it was on the comer, well not really on the corner, but there was one house on the corner and Salford Street, it was the next block going down on the right there, and when they purchased it, it had a tennis court on it, and then the land dropped down quite steeply, and there was some land outside the tennis court between the tennis court and Salford Street. Apparently they raised sufficient money to start getting building plans which they wanted to build up on the tennis court which was there on the block when they bought it, but the Women’s Auxiliary had formed a women’s tennis club and all the women got deeply involved in the tennis club that they didn’t want the hall built on their tennis club, and they convinced the men that they should build the hall between the tennis club and Salford Street, which was sufficient room to build, altogether a design that would fit on the block, which they did. l would think that would be around about 1934. I think the best thing would be to go in to Anzac House and to the Archives there and find out a bit about the dates, because they’d have all the records in there. So I’m only going from memory. 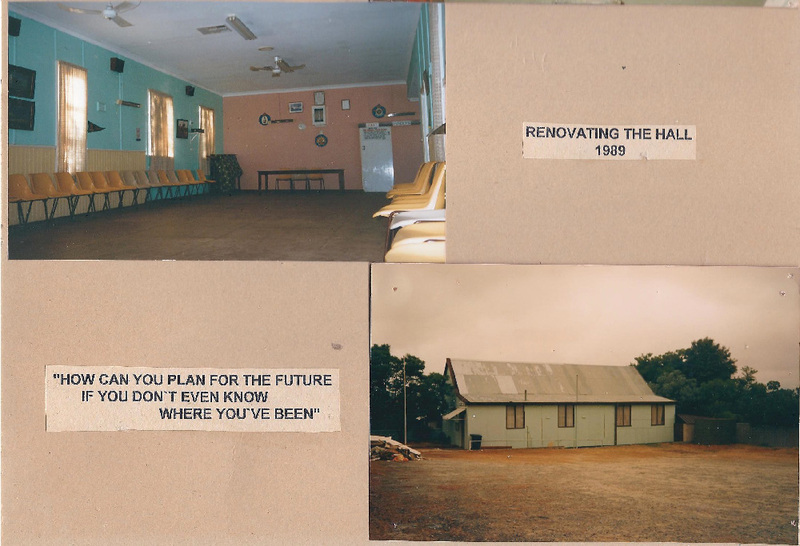 But they left their Library hall venue when the RSL Hall was finished and they moved up there. lt was quite a nice hall. It had a nice dance floor, and there was two rooms, or one room actually which was the Committee Room, and on the other side of the stage they had the kitchen, so they were well set up there and they carried on for some years. Actually where they were situated in Salford Street was on the comer of Salford Street and Albany Highway. Opposite them was the old picture theatre which was called Harper’s Picture Theatre. I think it was the first picture theatre in Victoria Park, and it was an open-air picture, and it run there for many, many years. And next to the Harper’s Picture Theatre was the land behind that was the land used by the City Council as a Council depot and they used to keep all the rubbish carts and the night carts and a lot of council business was conducted there from Salford Street. That eventually moved and they turned that land into a children’s playground which is the playground, there’s still a playground for children there. The other part which was Harper’s Picture Theatre then became a nursery, and the picture theatre then, l think, moved up to the Amusu Theatre which is opposite the Police Station. Now the Amusu Theatre was there for many years, and I think it was eventually brought by Parry’s, a big store, and they used it like that for many years. But behind the Amusu Theatre they did make an open-air picture theatre, more or less an offshoot of the Broadway Picture Theatre which was down the road opposite the Library Hall. That was owned by a Mr. Johnston. I think he was a member of the RSL, and they had an open-air picture theatre behind the Amusu Hall, or the Amusu Picture Theatre, and they had the Broadway Theatre which was the next block down, which run very successfully for many years. Getting back to the RSL Hall and the activities that carried on there, they used to run socials and I know they had a birthday, every year they had a birthday celebration to celebrate the hall, and I can remember when I was about 10 years old going to the opening of the hall, and sitting on the sand out the front of the hall while all the big-wigs made their speeches and declared the hall open. I can probably give you a list of all the old-timers as far as member was concerned. I don’t know their Christian names, I was only a lad at the time. There was a Mr Chandler and a Mr Taylor. Now Mr Taylor was a bootmaker and he had a bootmakers shop opposite the Victoria Park Pub. And there was a Mr Jennings who started up the Sons of Soldiers League in about 1935 because they were getting concerned then that there would be nobody to carry on the RSL Hall and all the RSL business, so they formed the club that was for sons of soldiers. And that existed for quite a few years, I’m not quite sure about the dates about that, either, but this Mr Jennings he was more or less the Treasurer and President, and he conducted all the business. There was a Mr Bamett, as I said, I don’t know their Christian names, and a Mr Fitzsimmons, and a Mr Mclntosh, and later on there was a chap by the name of Mr Lloyd, and also there was a Charlie Matthews, no relation to Ken Matthews or Fred Matthews who we are talking about. Now he, Fred Matthews, was also the care-taker for many, many years of the RSL Hall because he lived in Manchester Street which was No. 3 which was only a couple of hundred yards from the hall, so he always had the keys to the hall and he used to do a bit of care-taking and looking after the hall. 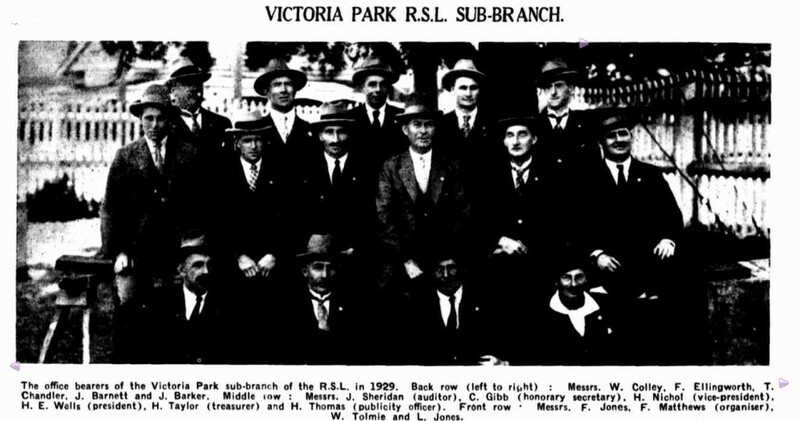 As far as the RSL is concerned, l don’t know about the internal workings and so forth, but l know that they used to have ‘smoke socials’ and all the general things that RSLs had in those days. They even had a little place there, it was a shooting gallery. My father’s name was Fred Matthews and he was born in Birmingham, and that’s where he left originally to go to the Boer War and returned back there to England and then in 1913 he migrated with some of his children out to West Australia, also with my mother. Which reminds me that she belonged to the Women’s Auxiliary, which was quite another story. n March 10th 1959, a meeting of residents of the Millen area met at the Millen Primary School for the purpose of forming a Sub-branch of the Returned Services League. It was decided to hold a General Meeting two weeks hence on 24th March to elect officers and committee. When that date arrived and the meeting was convened, Mr Ron Rutter who had done most of the legwork in getting the new Sub-Branch up and running was elected and installed as President by Mr E. McCleod of the State Executive. Installation of Mr D. C. Humphries as Secretary and, Treasurer Mr Stan Ball followed; also a committee of five. Mr Ken Robinson who had been the inaugural Secretary then became assistant Secretary. In reading the minutes of these first six years the reader is impressed by the commitment of members in their endeavours to obtain their own block of land and a hall for their meetings. From the first transaction authorised on the 14th April 1959 (an amount of £2-0-0 was outlaid for stationary) all forms of money making ideas were put forward and put to the test. By the diligence of those early members, at a meeting on Thursday 10th November 1964 it was recorded that a deposit of £208-0-0 had been paid on their land and building (the full cost approximately £2000-0-0) and an amount of £312-14-4 was available in the building fund, in a deposit at the R&I Bank. With the financial assistance of the National Bank (apparently the R&I wouldn`t lend) the members held their first meeting in their own hall in Camberwell Street on 19th January 1965 with 36 members attending. It must have been a day worth celebrating ! This history is compiled from minutes and members`registration books. The first section concerns the first five years and thanks are due to Ken Robinson for providing information and to Neil Gayfer and others who also dug deep into their memories for some reminiscences which filled some gaps in the story. With the demise of the name “Millen” from the title of our Sub-Branch, I would like to make a small contribution to its early history in the event that someone will become inspired to write a history of same in the future. During the 1950`s, the State Housing Commission now known as Homeswest, subdivided the area bounded approximately by Berwick Street, Boundary Road (then Bentley, now St James. ), Jarrah Road, Riverview Road and Langler Street and decided to call the subdivision Millen because of the Edward Millen Homes proximity to the said boundaries. There were the Millen Sub Post Office at the Etwell Street shopping area, Millen Primary School in Playfield Street and the War Service Homes Department sold properties to ex-service personnel in the Millen Housing Estate. The Sub-Branch held its inaugural meeting in the Millen Primary School and so became the Millen Sub-Branch. I came to live in Creaton Street, Millen in September 1958 in an area generally favouring war service housing. 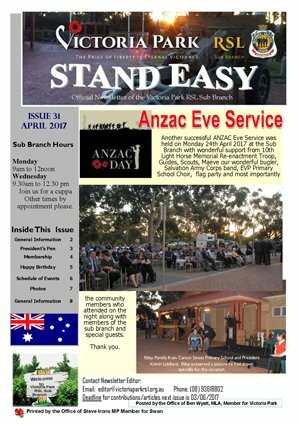 About February 1959 I was approached by Ron Rutter of Jarrah Road with the idea of forming a Sub-Branch of the RSL in the district. Our first meeting was held on 10th March 1959. Mr Rutter addressed a gathering of 33 men and explained what was required and the conditions governing the formation of an RSL Sub-Branch. In a move to commence proceedings, it was agreed that provisional office bearers be elected. Those elected were Ron Rutter (President), and Mr. Ken Robinson (Secretary), their term of office to be until a general election could be held at the inaugural meeting of the Sub-Branch. 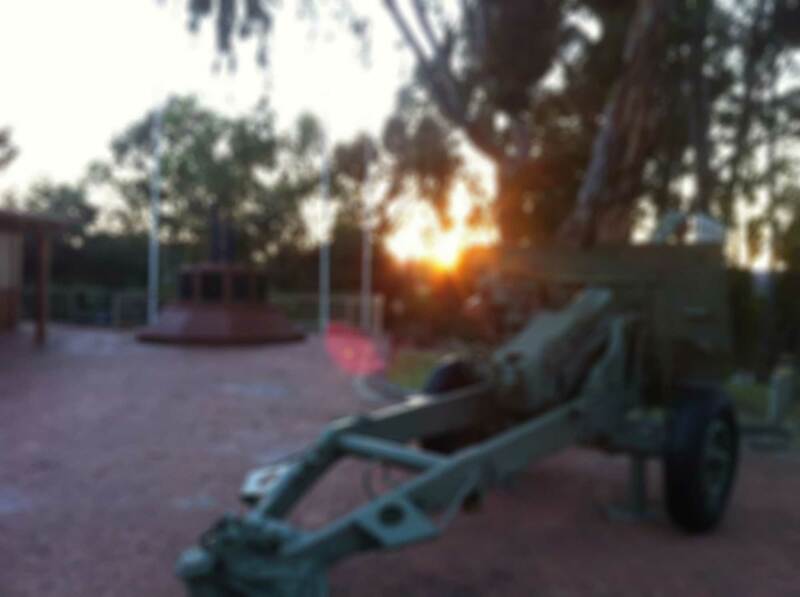 It was formally moved by Don Humphries and seconded by Bert Crowley that “this meeting form a Sub-Branch of the Returned Soldiers, Sailors and Airmens’ Imperial League of Australia”, to be known as the Millen Sub-Branch. Mr Doug Henwood , President of the membership committee of the State Executive congratulated the Sub-Branch on its formation and commended Mr Rutter for the hard work he had done. Mr Henwood undertook to sponsor the formation of the Sub-branch with State Executive and after the enrolment of the necessary 10 members took the necessary proceedings to carry out the duty. After further discussion it was moved by Mr. John Butterfield seconded by Bert Crowley that the inaugural meeting be held on 24th March 1959. The motion was carried. A. Breen, J.W. Crowley, C. A. Bathgate, A. Anastasakis, B. Littlecott, D. C. Humprie,s H.E. Morriso,n N.Gayfe,r H.E. Fenwick, A. Wynne, P. Purviss, H. J. Crowley, A. Jolliffe, J. McBea,n E.B. McKa,y J.A. Green, L. Cook, F. Baco,n S. Ball, J. Butterfield, J. Tomlinso, K.A. Robinson, R. Rutter. You will be interested to note that one of the first proposals from the Sub-Branch was an approach to Perth City Council for a building block on what was then vacant land bounded by Creaton Street, Hillview Terrace, Devenish Street and Playfield Street. Perth City Council did not favour the Sub-branch with a positive reply, but I think you will also be pleased to hear that a building fund committee of four members was formed at the second regular meeting. During the early life of the Sub-branch we approached the Nomenclature Committee of the Lands Department with a view to having the area gazetted officially as Millen, as there was confusion among residents receiving postal communication, addressed variously to Victoria Park, East Victoria Park, Millen or Bentley. As the Victoria Park PO delivered all mail to the area, the G.P.O. opposed any change of name and we were unsuccessful. In later years boundaries were reset by Australia Post where the area is now equally divided between East Victoria Park and St James. Another matter of interest concerns the Victoria Park Sub-Branch, based in Salford Street. In the mid 1960`s that Sub-Branch was experiencing difficulties in maintaining members. An elderly gentleman who was President, Acting Secretary, Acting Treasurer, with few helpers approached Millen to disband and join Victoria Park en bloc as they had their own hall and amenities. Millen members however had no desire to disband and become members of Victoria Park. The gent in question was a courageous worker for his district and deserved better support from the Victoria Park community. Soon after, Millen was able to acquire their own hall after the Anglican Church sold their old building to them and moved to their new church in Whittlesford Street. he story continues: Also at the first General Meeting on 24th March 1959 discussion took place on the possibility of acquiring the vacant land bounded by Creaton Street, Hilview Terrace, Devenish Street and Hill View Place (now known as Higgins Park and Playfield Park) was followed by a motion from Cyril Crew seconded Keith Hayes that a letter be written to the Town Clerk of the Perth City Council, requesting that consideration be given to the Millen Sub-Branch acquiring a portion of the land if and when it became available. As the general direction of their hopes for a new hall has been mentioned by Ken Robinson, the following reports from meetings in 1959- 1961 may only help to back up the degree of enthusiasm with which the members pursued their objective. 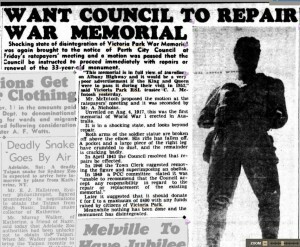 As history has shown their efforts were to end in disappointing results until the Perth City Council area was broken up many years later and Mick Lee, the new Mayor of Victoria Park and Councillors saw the value in accepting an application by the Sub-Branch to build an RSL and Community Centre (with the help of sponsors) in the area on part of Playfield Park where an old building had been used as a Learning Centre. On 5th May 1959 it was reported that a meeting to form a “Womens` Auxiliary” would be held at the Millen School on the 2nd Wednesday in June. In these first six years especially, the ladies were very supportive of the Sub-Branch. The author notes from the minutes that an amount of £50-0-0 was presented to the building committee in November 1962 and later another amount of £100-0-0 was given to the Sub-Branch shortly before the purchase of St Aiden`s Hall in Camberwell Street. It could well be that the history of this first five years could become dominated by the apparent attitude of the members to give the highest priority to owning their own hall for the base of their activities.. However in continually chasing finance for their purpose it was obvious that the social side of their activities was certainly not neglected. Early in 1959 the President spoke of a proposed family picnic at the Perth Zoo. Mr Vince O`Dea requested that a letter be posted to the Zoo Curator for official permission. Also in the early years, the social calendar included visits and group activities with other Sub-Branches, plus cake and hot dog stalls serviced at local functions by members and ladies of the Auxiliary, also raffles and of the inevitable Melbourne Cup sweep. The first year`s Poppy Day reported that 1,000 poppies had been purchased and apparently all had been sold. Dan Mulcahy was elected Secretary in July 1959 after Don Humphries was transferred in his employment and Cyril Crew replaced V/ President, John Butterfield. At the AGM on 14th January 1960 held at Dan Mulcahy`s home 21 members were present to see Frank Byfield elected as President, Dan Mulcahy as Secretary and Stan Ball took up the position of Treasurer. Frank Byfield was re-elected President again the following year and again in 1962. Mention should be made of some of the correspondence to Perth City Council concerning their enquiry for land. Towards the end of 1959 the members appeared to become very disheartened by the lack of communication with that body and the Secretary Dan Mulcahy reported that he had taken all correspondence regarding “the block of land” into Anzac House to see if they could speed up the process. The correspondence was retained there with a promise that “they” would look into the matter. June 7th 1960: Ron Rutter moved and Bill Povah seconded that “this Sub-Branch contact Anzac House and march with the deputation to Perth City Council”. It was also suggested that we request that all three ward Councillors’ attend our next meeting. The January meeting in 1961 saw John Buckland re-elected President after his very successful first year in the chair. February 7th 1961: The Secretary Ted Griffiths reported that “with regard to provision of a hall for the Millen area, the Perth City Council had not reached finality”. The Building Fund at this time was described as being in a very healthy position, there being £212-0-0 available in the bank and on June 6th 1961 the question of provision of a hall at Higgins Park was again discussed by Perth City Council after the secretary was again instructed to communicate with them seeking some definite information. Most of the meetings until 17th January 1961 had been convened at either Millen Primary School or in the Victoria Park Sub-Branch Hall in Salford Street, the members of which apparently enjoyed the company of the visitors from the new Sub-Branch on social evenings, playing competitive games etc. The Sub-Branch also met regularly in a room at the Victoria Park Hotel and used the Salford Street hall for each quarterly meeting. This venue had a double attraction, as a room was provided rent free by mine host Mr Eric Coleman and of course refreshment was readily available. It is no surprise then that Eric Coleman was offered joint Patron status with Mr Richard Cleaver MLA for the years 1961-1964. Among the members of every strong organisation there is often a weak link and on the 3rd October 1961 the Treasurer at that time tendered his resignation and admitted liability of £18-15-0 representing money not paid into the account. Trove offers everyone a chance to look through archived newspapers, books and images. 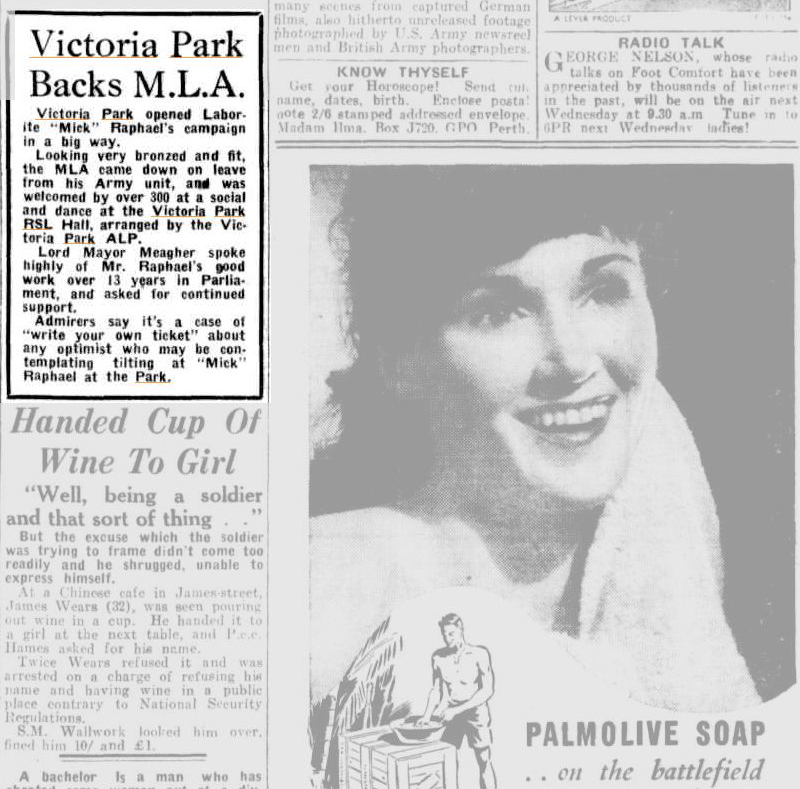 The National Library of Australia online service “Trove” has several references to Victoria Park dating back to the 1920s. What’s great about many of the old newspaper stories is seeing what else is happening at the time. Look closely at the examples below and you’ll get a glimpse into life in the 40’s and 50’s. 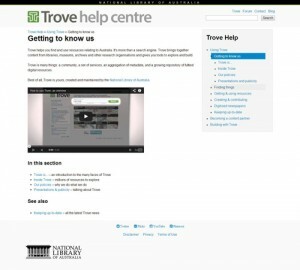 In the meantime, why not visit Trove to see what else you can find?